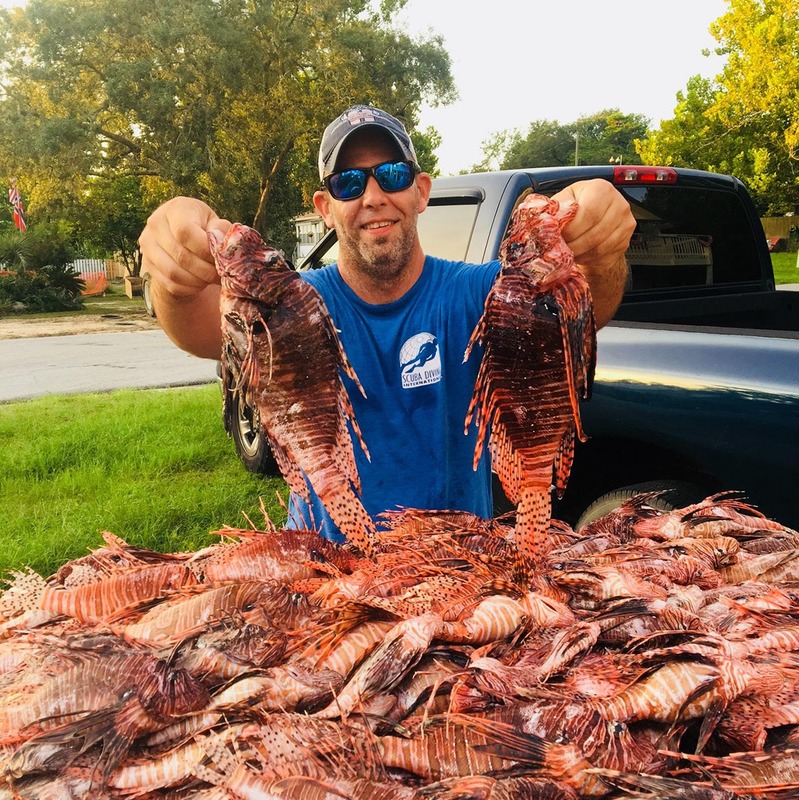 Recreational 2018 Lionfish Challenge Winner (Lionfish King) John McCain removed 1,137 lionfish in the recreational category during the 2018 Lionfish Challenge. Lionfish King John McCain shows off a freshly-caught invasive Lionfish. 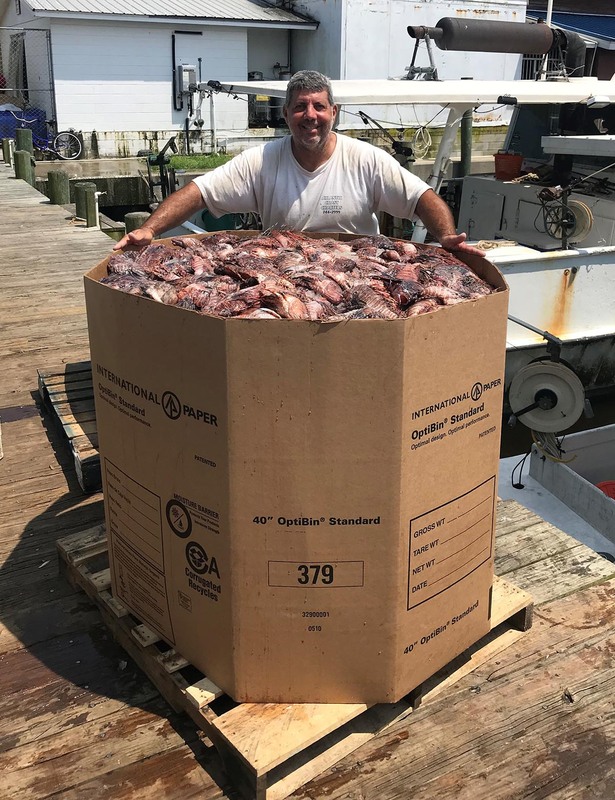 Commercial Champion Ron Surrency removed 5,017 pounds of lionfish during the 2018 Lionfish Challenge. 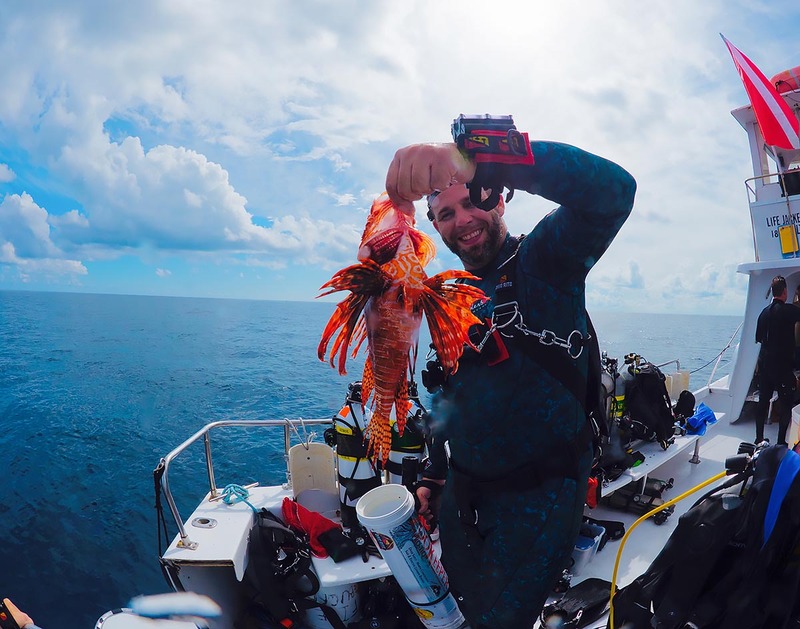 Both winners will receive a Lionfish Challenge Trophy for their efforts, as well as a feature article in our Saltwater Regulations Publication, a $500 gift card for dive tank refills, and a customized Engel 65-quart cooler. Lionfish Outreach Team with Commercial Champion Ron Surrency. Left to right: Kali Spurgin, Ron Surrency, Mike Kennison, Hannah Tillotson. 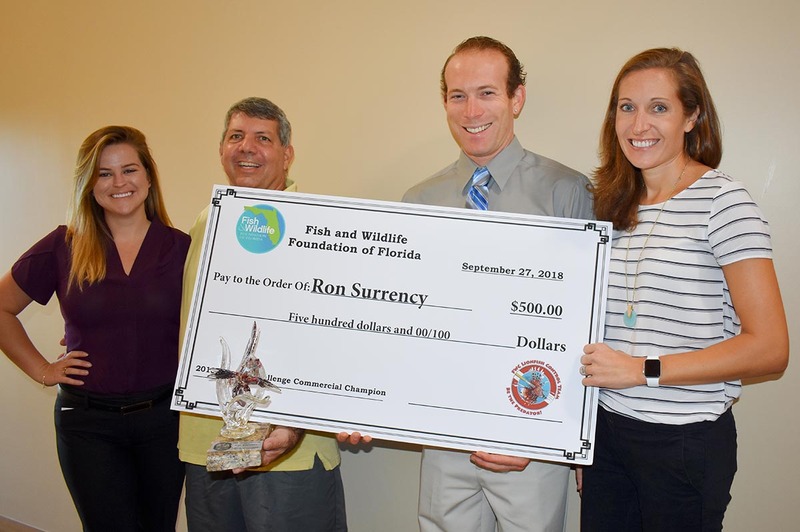 The Lionfish Challenge and the 2018 tagged-lionfish component could not have been possible without the support of sponsors, including the American Sportfishing Association, Marine Industries Association of Palm Beach County, Boat Owners Association of The United States, the National Marine Manufacturers Association, Yamaha Motor Corporation, the Coastal Conservation Association Florida, Dive Rite, Lionator Pole Spears, Narked Scuba, Florida Underwater Sports in Sarasota, Customatic Optics LLC, and Toothless Life Spearfishing Safety System. why not use the fish to eat because their flesh is good and not toxic ? win by removing and win by selling.